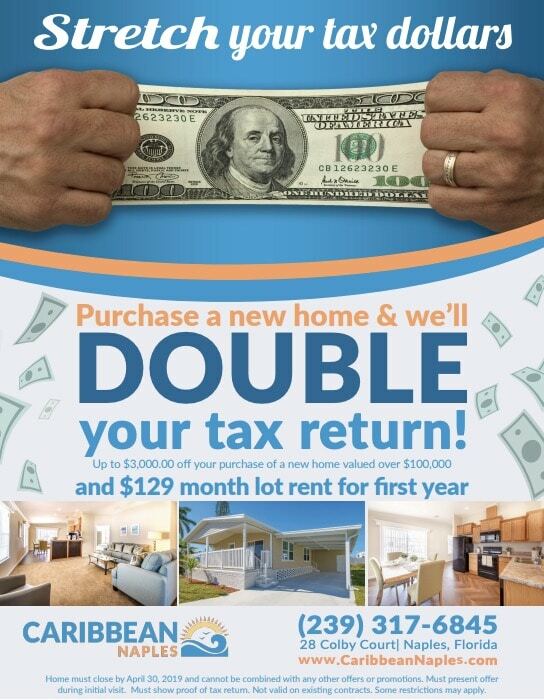 Purchase a new home and we’ll double your tax return. Home must close by 4/30/19 and cannot be combined with any other offers or promotions. NAPLES, FL (March 27, 2019) — Caribbean Naples announced today that it was named among the most popular 55+ communities in the Southeast by TopRetirements.com, a site dedicated to helping baby boomers make informed decisions about key retirement issues. Located within minutes of Naples’ white sandy beaches, numerous golf courses, upscale shopping, galleries, and restaurants, Caribbean Naples offers residents the very best of southwestern Florida living. 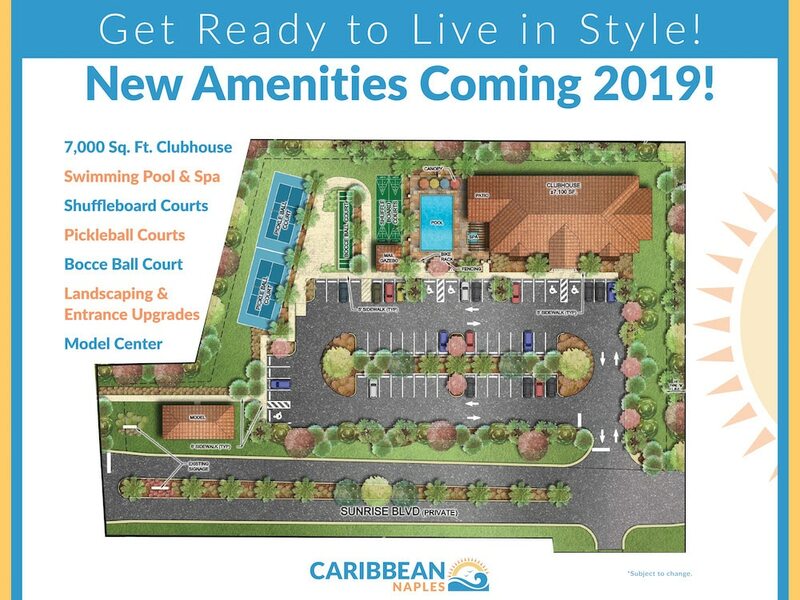 That, coupled with such on-site amenities as an expansive clubhouse, a community swimming pool, shuffleboard courts, horseshoe pits, and countless planned activities, position Caribbean Naples as one of the area’s most desirable 55+ manufactured home community. Caribbean Naples is owned and operated by Zeman Homes, one of the largest and most respected manufactured home operators in the country. Have you ever imagined living on Florida’s Paradise Coast? Now it’s possible and affordable! 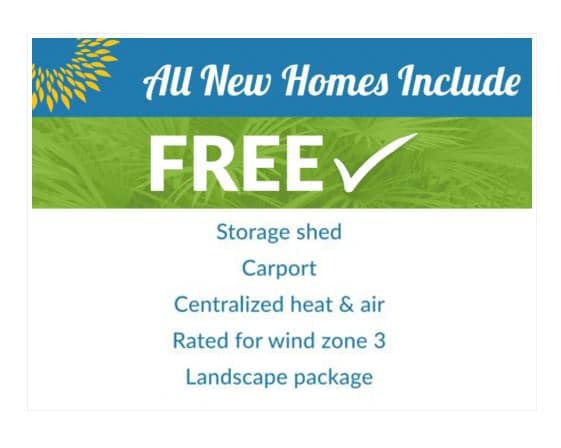 Caribbean Park Naples offers new homes from the $100’s. With five great floor plans to choose from we are sure you will find your perfect home! Purchase a new home and let us help make your dreams come true.